Facebook fan pages aren’t just for large corporations interested in getting involved in social media. 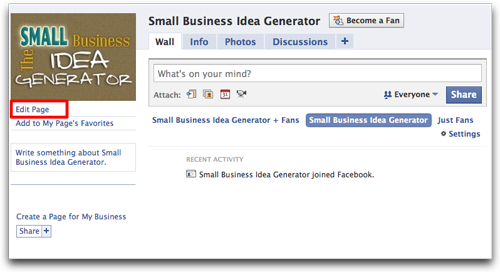 Small businesses, entrepreneurs, freelancers and other professionals can benefit from having a fan page on Facebook. Separate from your personal profile, a Facebook fan page is a public profile that lets you share your products, services and related information with other Facebook users. Here are some of the biggest reasons you should create a fan page today. There isnâ€™t a limit to the number of fans you can have. This makes fan pages especially valuable for Facebook users who reach, or are approaching, the 5,000 friend limit. It gives you a way to talk to and get feedback from your target audience, because like a user profile, you can update your fans with statuses that will appear in the news feed. It’s an SEO boost. Facebook is currently the second most popular site on the Web according to Alexa. You can customize the design using FBML, Facebookâ€™s version of HTML. Check out the Static FBML app for more. You can create brand advocates. You can easily promote it with tools provided by Facebook. The Facebook Pages Insights analytics tool gives you useful information about your fans and their interactions. It’s another funnel to your website. Step 2: Select a category and enter the name for your page (you can set your fan page to be private until you’re ready to go live). Step 3: Add a picture and become a fan. Step 4: Edit your page settings. This is where you customize your page, including country and age restrictions, wall settings, tabs, fan permissions, and applications. 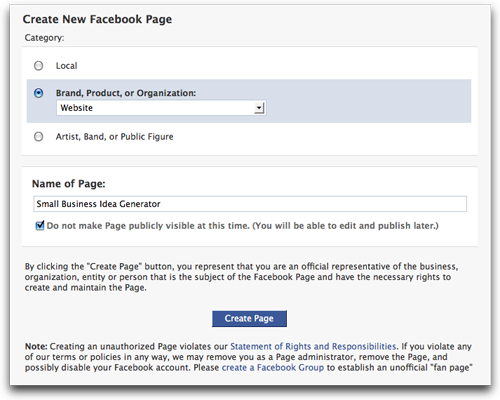 Step 5: Publish and promote your page. You can promote with a fan box, a Facebook ad, by suggesting to friends, on your personal profile and in your other networks. 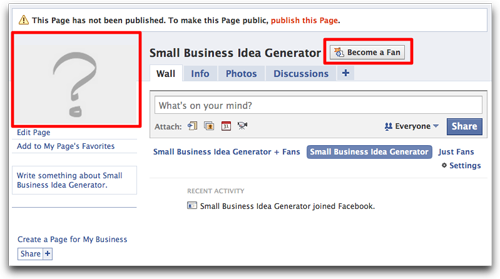 Bonus: Once you hit 25 fans, go to http://www.facebook.com/username/ to create a vanity URL for your page. How have you used Facebook fan pages for promotion?